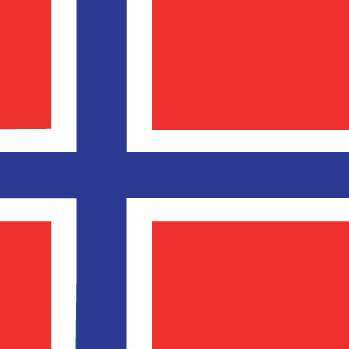 There’s another European country continuing its efforts to ban international online-gambling providers, as new developments have occurred in Norway. Recent, the country’s authorities have submitted a series of newly restrictive measures for formal European Union approval, with a de facto ban on all non-Norwegian online offerings likely to go into effect as of the start of 2019. As has also occurred in other European countries, the impetus for the looming firewall is the country’s own state-run lottery interests. In this case that’s Norway’s Norsk Tipping and Norsk Tikstoto operations demanding the legal monopoly over Norwegian gamblers’ discretionary income. The plan has been in the works for some months, but now has a specific timeline in place. The centerpiece of the new effort is a strengthening of an already existing ban on third-party payment processors serving as a go-between for Norwegian gamblers and numerous sites located in other, predominantly European countries. While the enhanced rules are directly targeting some operators that may have abused Norway’s banking-system protocols, the larger effect of the proposed changes may result in a complete blockade of all online-gambling services in Norway, except whatever the Norwegian lottery provides. As is the case in many other countries (and as it transpired in Australia regarding online poker), the new rules will not include any path through which reputable foreign operators can obtain licensing. Norway also joins tiny Switzerland in mounting recent plans to implement new rules that essentially block all outside countries from their markets. The uptick is directly attributable to the European Court of Justice‘s decision last year to stop adjudicating matters regarding online gambling. 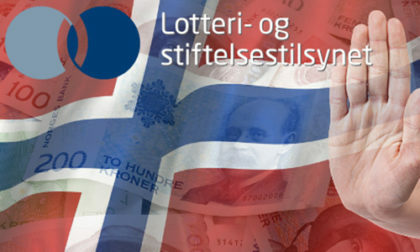 (Gaming Board) — The duty to provide data shall include information on new account numbers associated with The Lottery Authority’s investigation, and information about transactions the banks have blocked from enterprises such as payment conduits related to gambling which is not authorized in Norway. Collectively, the newly proposed rules are designed to eliminate two workarounds that were developed, right or wrong, by international operators targeted by Norway’s previous blocks. The first is the use of two or more payment processing-related accounts by the processors to obfuscate the real destination, the online gambling sites, while the other is to allow rapid access to information about newly created or changed bank accounts and numbers. In the wake of last year’s legal battle, a couple of operators found it was faster and easier to create new accounts at Norwegian banks, while letting Norway’s whack-a-mole enforcement efforts catch up to older accounts no longer in active use. The new rule is designed to compel Norwegian banks to provide account information immediately to authorities upon demand, despite this being part of the shredding of Norway’s consumer protections in banking matters that arose as part of last year’s dispute. Any such changes regarding trade matters by an EU country automatically invoke a three-month standstill period, during which no implementation can occur. There’s also likely to be a time lapse during which specific banking protocols are created as a means of implementing the new rules, thus Norway’s hope to achieve implementation by the start of 2019.